The Barbie Proudly Pink Doll makes for the perfect gift for someone special. Featuring a glamorous head-to-toe pink ensemble, Barbie’s fun take on a classic look makes this the perfect gift for collectors and fans alike. 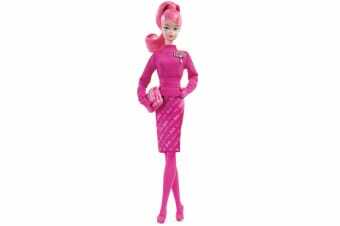 Dressed in her signature colour and with a modern twist, The Barbie Proudly Pink Doll commemorates her vintage syle that has touched and inspirered fans all over the world.